AP Government Today announced National Film Awards presented in memory of Legends such as NTR, BN Reddy, Chakrapani and Raghupathi Venkaiah for the year 2012 & 2013. While winners of NTR National Award will receive a cash reward of Rs 5 lakh each, Other Award Winners would get Rs 2 lakh each. These awards are usually given to the notable film personalities for their lifetime achievements and remarkable contributions to the Indian film industry. 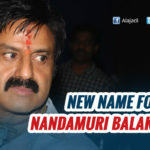 Nandamuri Balakrishna and Murali Mohan have announced these awards. Veteran singer S.P. Balasubrahmanyam has received the NTR National Film Award for the year 2012 and Hema Malini bagged the same for the year 2013. B.N. Reddy National Film Award was given to Singeetham Srinivasa Rao for the year 2012 and Kodanda Rami Reddy for 2013. The Nagireddy and Chakrapani National Film Award were given to Daggubati Suresh Babu for the year 2012 and Dil Raju for 2013. 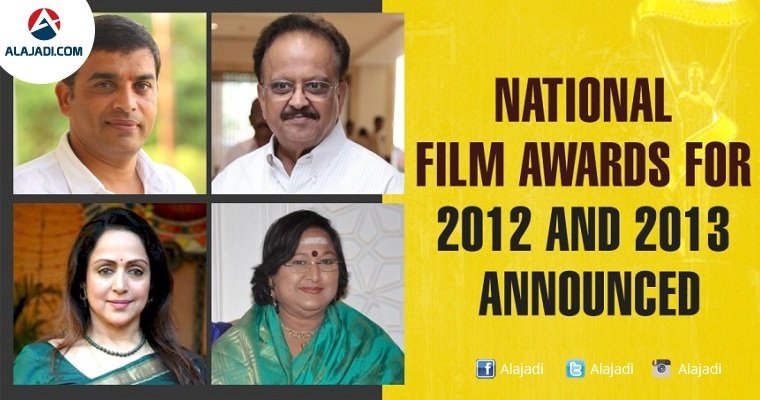 Kodi Rama Krishna has achieved the Ragupathi National Film Award for the year 2012 and Vaani Sri for 2013. Murali Mohan announced that Film Awards for the years 2014, 2015 and 2016 will be declared soon. He told awards for a period of five years 2012-2016 will be presented in a grand ceremony.